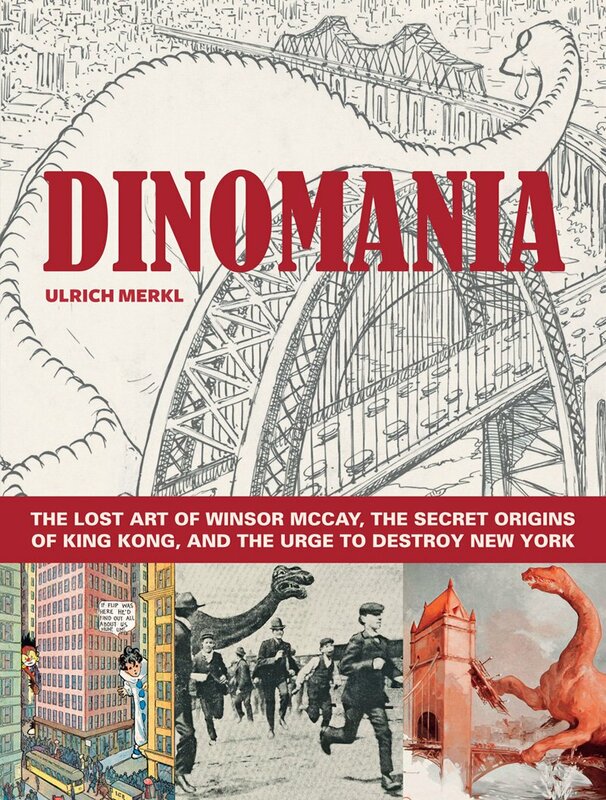 ★FIRST★ The discovery and reconstruction of Winsor McCay’s last masterpiece, Dino, a comic strip about the adventures of a giant dinosaur exploring New York City and the East Coast. 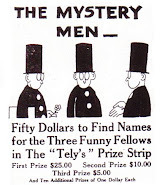 Left unfinished on McCay’s desk at his death in July 1934, at 64 years of age, these pictures were never published before. 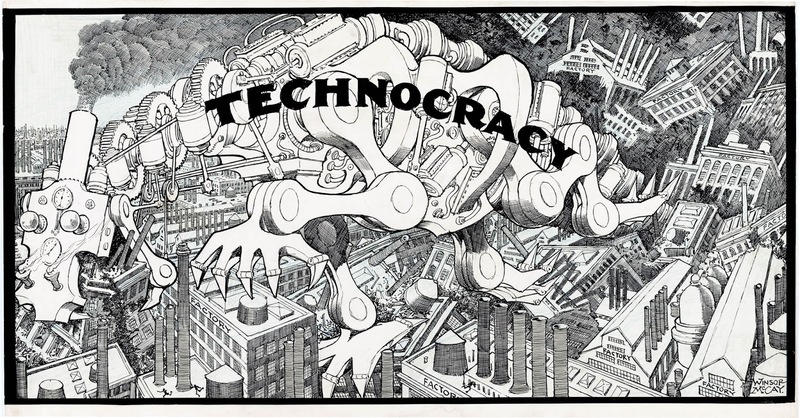 1933 – ‘Technocracy,’ the original art for a Winsor McCay editorial drawing. 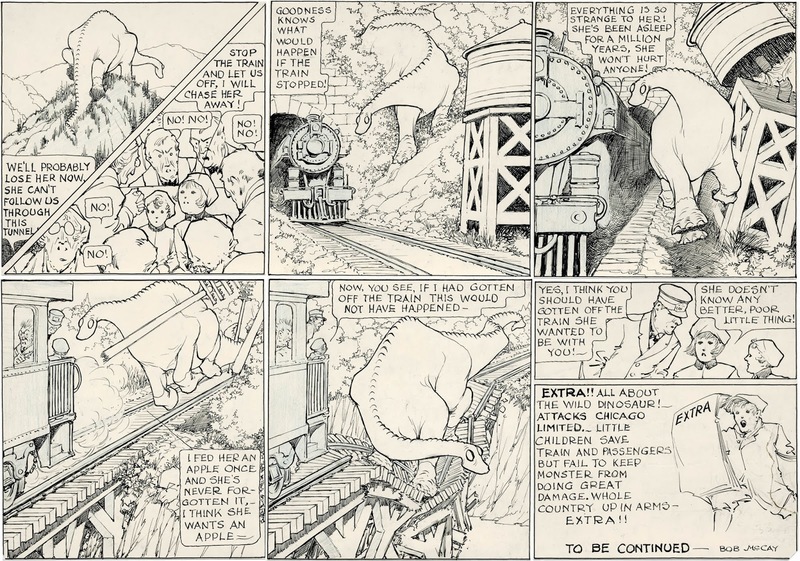 Follow me on an exciting, years-long journey reassembling these six Sunday pages, based on original artwork and assorted images later used by Winsor McCay’s son Robert in a Little Nemo revival. 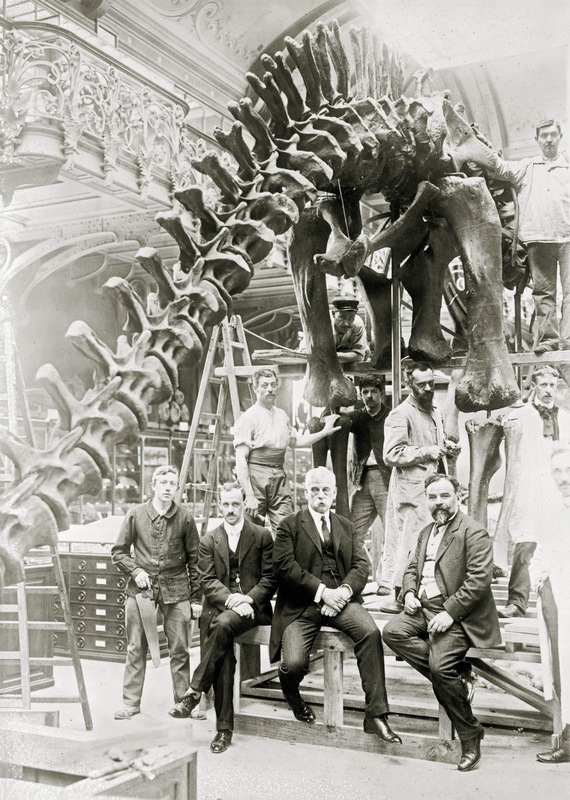 1908 – Carnegie’s Diplodocus, Paris, contemporary photograph. 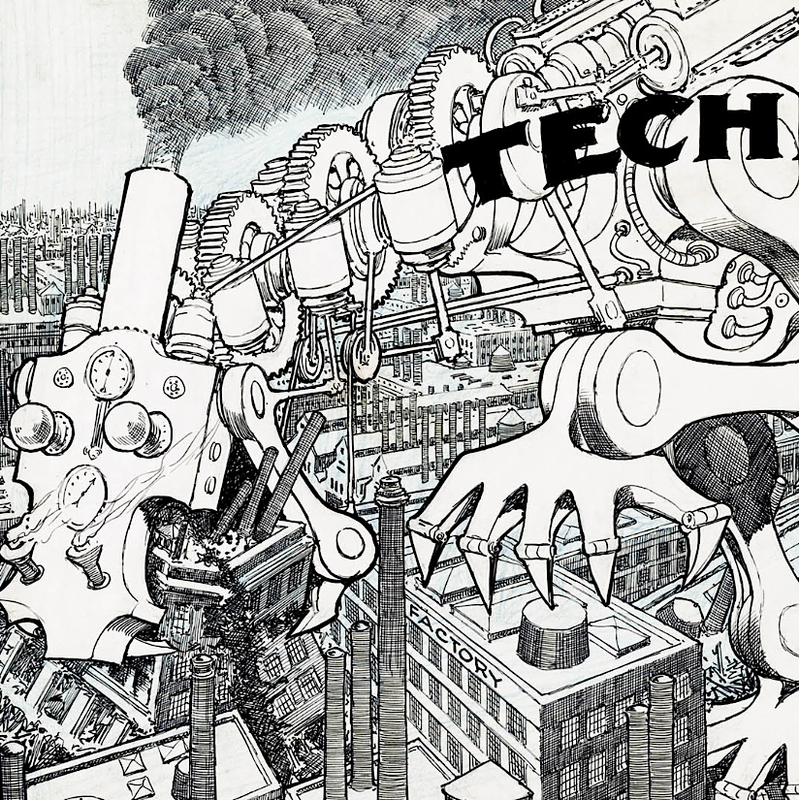 ★SECOND★ The chapter on the history of dinosaurs in comic strips and animated cartoons clearly demonstrates that Winsor McCay was the principal pioneer behind the ‘living dinosaur’ theme in popular culture. He drew the first convincing comic-strip dinosaur in 1905 (in his Dream of the Rarebit Fiend series), the first collapse of a mounted dinosaur skeleton in 1906 (in Little Sammy Sneeze), and the first animated dinosaur ever to appear on a movie screen in 1914 (Gertie the Dinosaur). By sustaining the flow of brilliant comic strips and editorial cartoons over the years, he made sure that dinosaurs were here to stay. 1921 – The Pet, Winsor McCay animated cartoon still. 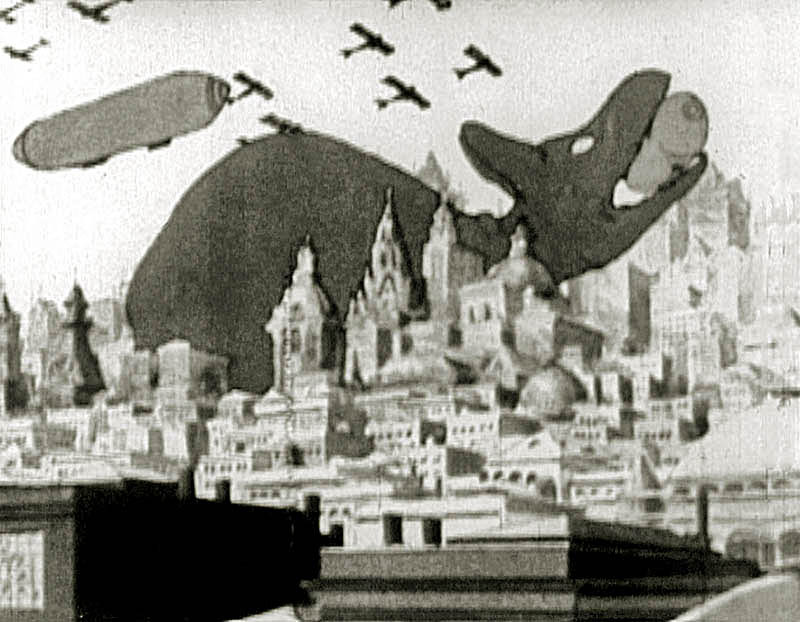 And in 1921, with his animated cartoon The Pet, he single-handedly founded the entire ‘giant monster attacks metropolis’ genre, predating Willis O’Brien’s movie spectacle of a brontosaurus attacking London in the climax of The Lost World (1925), or a giant ape in New York City in King Kong (1933), or films like Godzilla (1954) and Jurassic Park (1993). ★THIRD★ Finally, my book reveals how King Kong, one of the most influential films of all time, owes many iconic scenes to comic strips by Winsor McCay, including that memorable image in screen history, the giant gorilla fighting a duel to the death with a group of war planes atop the Empire State Building. 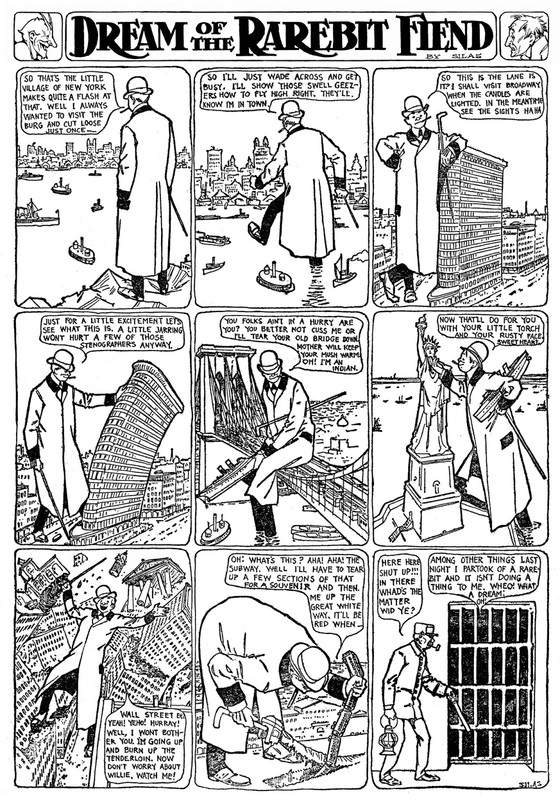 Indeed, McCay’s comic strips did much to anchor the now familiar theme of havoc wrought in the streets of Manhattan in the collective human consciousness. 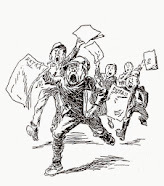 1905 – A drunken New York Giant in an early Dream of the Rarebit Fiend strip. 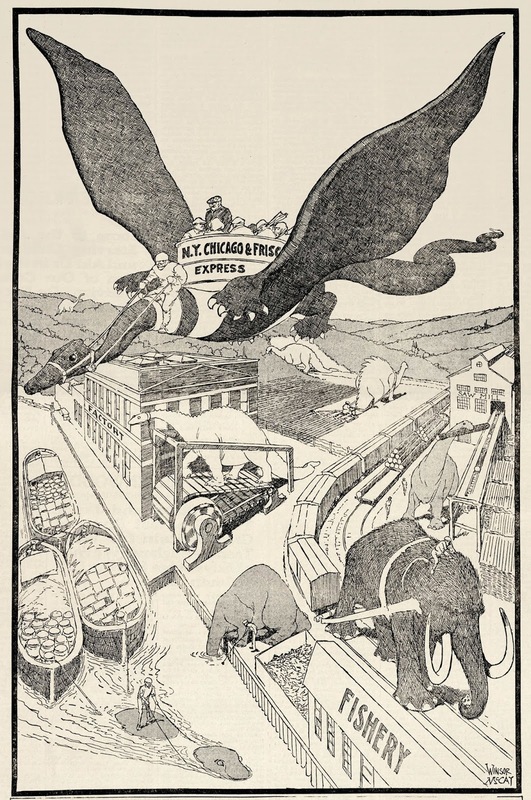 1919 — Air travel by dinosaur with the ‘N.Y., Chicago & Frisco Express,’ McCay editorial drawing. 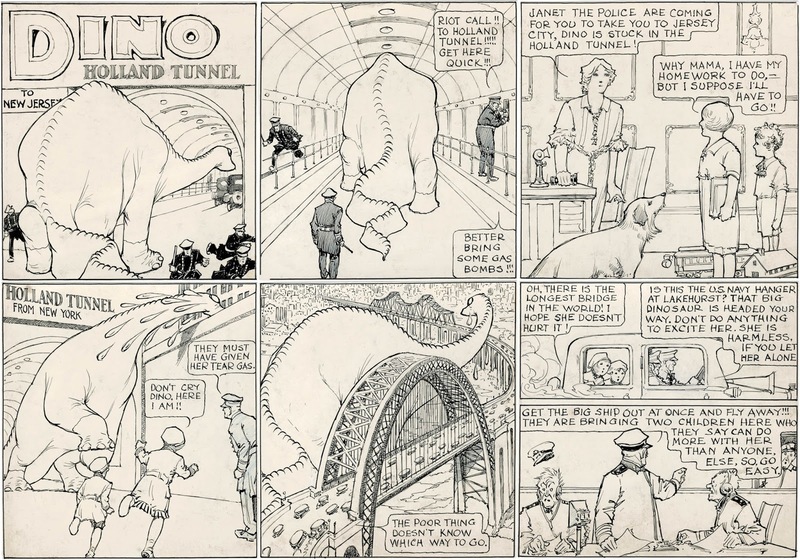 1934 – Dino, comic strip art by Winsor McCay. 1934 – Dino, to be continued. There are older depictions of dinosaurs rampaging in cities. 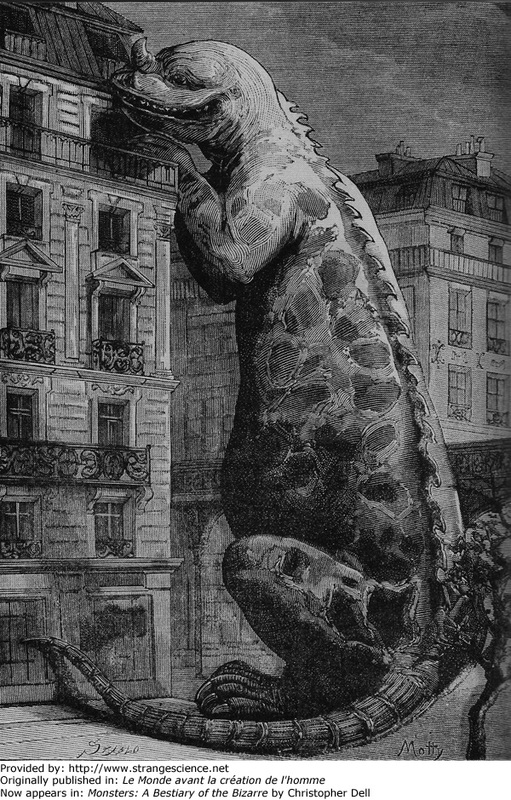 Lynch illustrated a sauropod rampaging in a city in 1914. Camille Flammarion illustrated an Iguanodon-like dinosaur peering into a window in 1886.